Psalm 121 includes a powerful tribute to our creator. It reminds us of the source of our strength and help. I love the gentle rhythms of these verses. They soothingly remind me I can trust in a Father God who never sleeps, but is always working behind the scenes to carry out his perfect plan. Isn’t it wonderful we can rest our head on the shoulder of a Heavenly Father who never sleeps? I lift up my eyes to the mountains— where does my help come from? 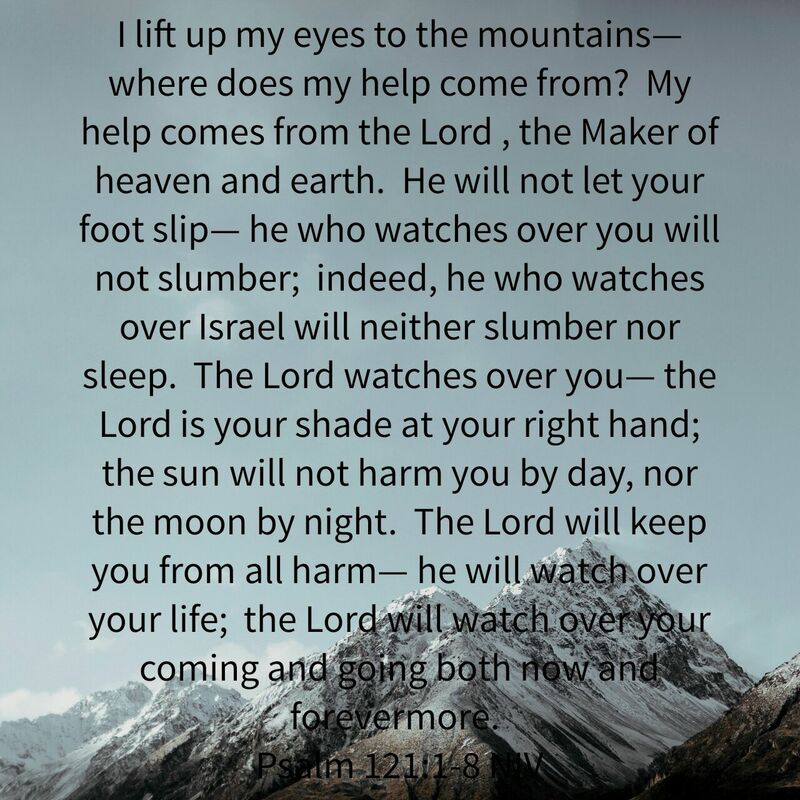 My help comes from the Lord , the Maker of heaven and earth. He will not let your foot slip— he who watches over you will not slumber; indeed, he who watches over Israel will neither slumber nor sleep. The Lord watches over you— the Lord is your shade at your right hand; the sun will not harm you by day, nor the moon by night. The Lord will keep you from all harm— he will watch over your life; the Lord will watch over your coming and going both now and forevermore. Thank you for sharing your walk of faith and this wonderful spiritual reminder! It is such a good question with such a miraculous answer?